NOTICE: Activation key must be used on a valid Steam account, requires internet connection. 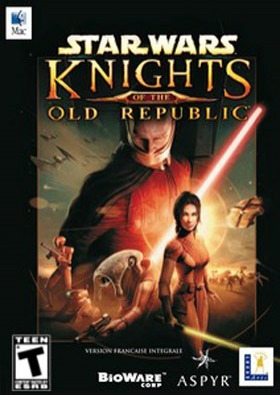 ABOUT THE GAMEChoose Your PathIt is four thousand years before the Galactic Empire and hundreds of Jedi Knights have fallen in battle against the ruthless Sith. As the last hope of the Jedi, you must lead a band of freedom fighters in an epic struggle to save the galaxy.Can you master the awesome power of t… he Force on your quest to save the Republic? Or will you fall to the lure of the dark side? Hero or villain, savior or conqueror...you must choose wisely as you alone will determine the destiny of the entire galaxy!KEY FEATURES Immersive, action-packed Star Wars role-playing experience with customizable and evolving playable characters. Choose from nine customizable characters to build your party of three adventurers, including humans, droids, Twi'leks, Wookiees and more. Journey spans seven different worlds including Tatooine, Sith world of Korriban, Jedi Academy on Dantooine and Wookiee homeworld of Kashyyyk. Choose your party from nine customisable characters, including Twi'leks, droids and Wookiees. SYSTEM REQUIREMENTS Mac OS X 10.6.8 1.8 GHz Intel Mac 512 MB RAM HDD: 5 GB GeForce 7300/Radeon X1600 - 128MB VRAMSupported Video Cards: NVIDIA GEFORCE 7300, 7600, 8600, 8800, 9400, 9600, GT 120, 320M, 330M, ATI RADEON X1600, X1900,HD 2400, HD 2600, HD 3870, HD 4670, HD 4850, HD 5670, HD 5750, HD 5770, HD 5870, HD 6750, Intel HD Graphics 3000Additional: Intel integrated video chipsets are not supported. This game is not supported on volumes formatted as Mac OS Extended (Case Sensitive), Apple Intel Chipsets only. Power PC Processors (G4 and G5) are not supported LucasArts, the LucasArts logo, STAR WARS and related properties are trademarks in the United States and/or in other countries of Lucasfilm Ltd. and/or its affiliates. © 2003-2009 Lucasfilm Entertainment Company Ltd. or Lucasfilm Ltd. All rights reserved. BioWare and the BioWare logo are trademarks or registered trademarks of EA International (Studio and Publishing) Ltd.